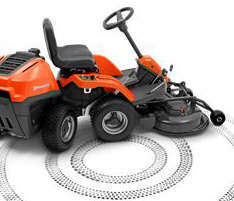 Husqvarna R214TC rider lawn mower, AM Rentals, selling lawnmowers for over 37 years. 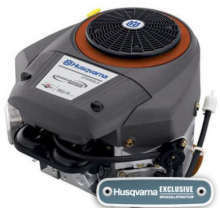 We are proud to be associated with Husqvarna lawn mowers, a manufacturer with a reputation for customer support. 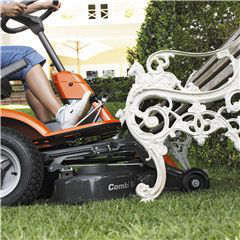 The R214TC Husqvarna rider lawn mower is ideal for the medium or larger sized garden. 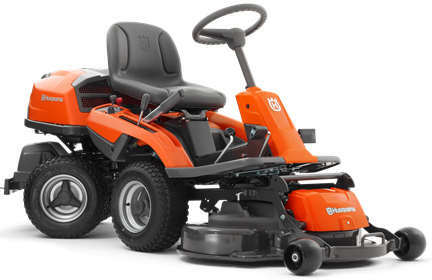 See our price for this new Husqvarna R214TC Rider Mower with 94cm cutting deck. Tel 028 ( from ROI )0044 28 302 66665. Powerful Rider with twin-cylinder engine and 94 cm Combi cutting deck, offering first-class BioClip® and rear ejection cutting. Suitable for home- and landowners who require extra high efficiency, ease of use, superior manoeuvrability and a truly enjoyable ride. 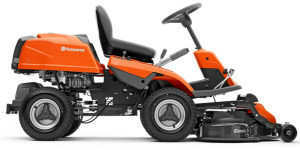 Pedal-operated hydrostatic transmission, easy-access controls and automatic blade engagement, makes mowing a pleasure The front-mounted cutting deck gives you an excellent overview of the mowing area. 656cc V-Twin Briggs and Stratton engine. 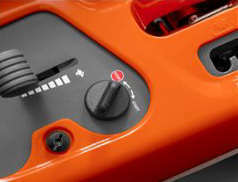 Husqvarna insist on Briggs & Stratton Pressure lubrication - no simple splash. This is a very large, very powerfull engine. Just press the pedal to move. Total control around any obstacle. 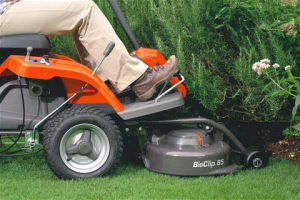 Three bladed cutting deck, 94 cm wide cut, with choice to mulch or rear eject in longer or rougher grass. Ease of access when servicing . 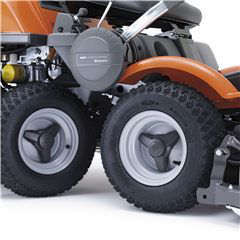 Pivot axle means more stability on uneven surfaces. 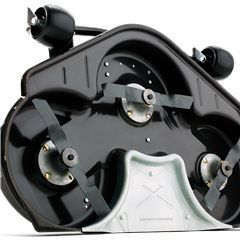 Suspension mounted seat for comfort. Even go underneath the bench. Rear wheel drive for those slopes. Under bushes is so simple . All controls are easy to manage, right beside the driver seat. Automatic choke, just turn the key. 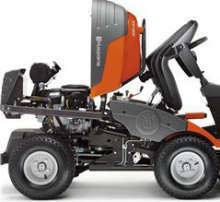 The husqvarna R214TC with articulated steering. Uncut circle is a miniscule 30cm. Unique steering method - even tighter turning circle. 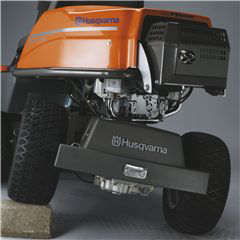 Husqvarna front deck rider mowers. 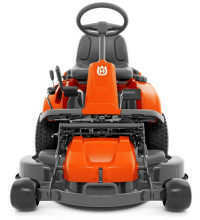 Husqvarna R214TC Lawnmower Sales Northern Ireland for over 36 years - Telephone. Newry 028 302 66665 / From ROI 0044 28 302 66665. 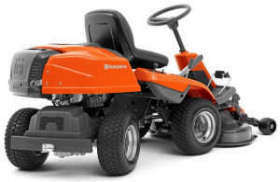 Selling and servicing lawnmowers since 1980, telephone us at Newry 028 (from ROI 0044 28) 302 66665.